Invisalign in Kansas City, MO, Expert Answers – Is Everyone Who Provides Braces or Invisalign an Orthodontist? 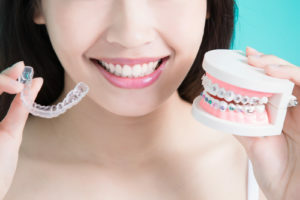 The short answer is no – but our expert for Invisalign in Kansas City, MO, thinks you should undergo orthodontic treatment with someone who IS highly trained and skilled in this specialty field of dentistry. After all – as our current health care environment continues to become more and more specialized – you are not likely to consult a knee doctor for your shoulder injury, are you? Get Started on Your Treatment Plan with Our Expert for Invisalign in Kansas City, MO, Today!